Developed by 4A Games; Published by THQ; Released March 16, 2010 for Xbox 360, and PC. What’s it about? 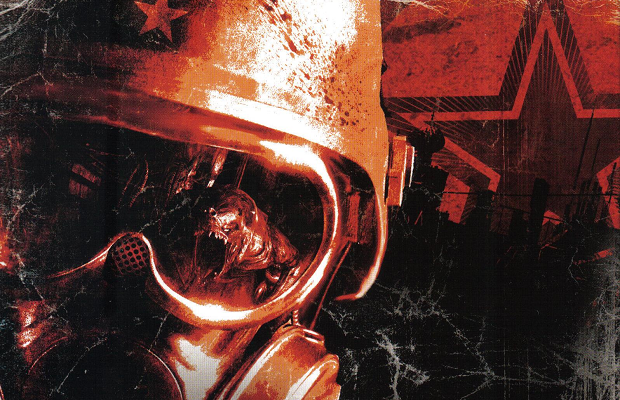 : Based off of the novels bearing the same name, Metro 2033 takes place in a post-apocalyptic future. In late 2013, a nuclear war left Russia as a barren wasteland rife with deformed monsters. Humanity has been forced underground, taking residence in vast subterranean metro systems. The story revolves around Artyom, a 20-year-old who has spent his entire life living underground. When his hometown is confronted with a possible threat involving the rumored “Dark Ones,” he sets out into the tunnels to find help in neighboring cities. Why’d you put it down in the first place? : Metro 2033 is a game that revels in atmosphere and subtle storytelling. It’s the kind of game that throws players into the middle of a quasi-realistic world, complete with its own backstory, warring factions, and newly created mythologies. Because of this, it’s also the kind of game that’s extremely disorienting to come back to after an extended leave. Complex systems and the often obtuse story didn’t mix well with the sporadic way I play games sometimes, and my multiple attempts faltered as I simply became distracted by other new releases. Was it worth coming back to? : Sort of. As I mentioned before, 2033 has quite a few systems that are really interesting, but don’t always work perfectly. Instead of currency, the ammunition itself is how you purchase new gear or other types of bullets. 4A Games does a pretty good job at making sure this never gets in the way of progressing, but it’s entirely possible to mistakenly waste large quantities of ammo on gear one’s never used before, only to be left in the wild with scant supplies. When venturing onto the surface of the irradiated Russian cities, a gas-mask must be worn which distorts Artyom’s vision and slowly uses filters, which are a finite resource. These systems seem to interplay well enough, however, as combat scenarios often have multiple solutions, some of which require very little ammo. For the first two thirds of the game, there’s almost always a way to weasel your way past enemies, which provides a unique and intense survival experience. My opinion of the latter sections of Metro 2033 may be slightly skewed, as I spent much of my resources building a character that relied on stealth. Certain equipment upgrades within the game let you essentially go down one of two paths, one focusing on straight combat and the other concealment. The problem is, many later chapters rely heavily on pure combat, with very few, if any options for stealth. Add on a disappointing ending, and the last sections of 2033 unfortunately left a bad taste in my mouth. I can’t fault 2033 too much, as the main problem seems to be that 4A Games tried to do a little too much with the game. They tried to offer such a wide variety of encounters with such varying equipment that this hiccup was inevitable. Metro 2033 is a game that needed a sequel, something it thankfully received. So would I recommend playing Metro 2033? Only if the world sounds interesting to you. Instead, I’d probably recommend just jumping into the more refined Last Light. There aren’t any key plot points in 2033 that can’t be summed up in a Wikipedia page. Metro 2033 is definitely interesting, but as if often the case with such games, it’s flawed as well.